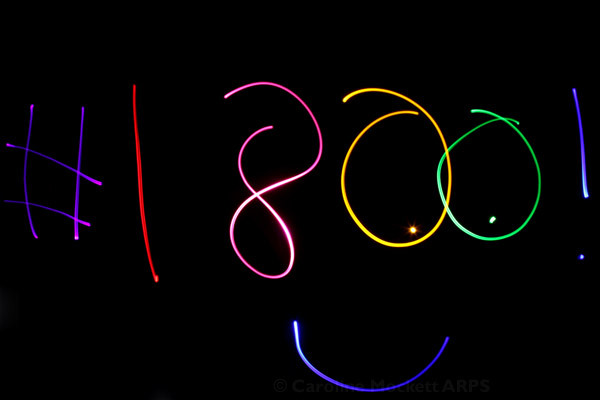 Notes: Some crazy light painting to celebrate my 1800th Day milestone today. You’ve no idea how many attempts I had to do this. It’s one exposure of 66 seconds, changing the gel in front of the torch between each character, in the dark… No wonder I couldn’t get it right the first (or 20th) time! 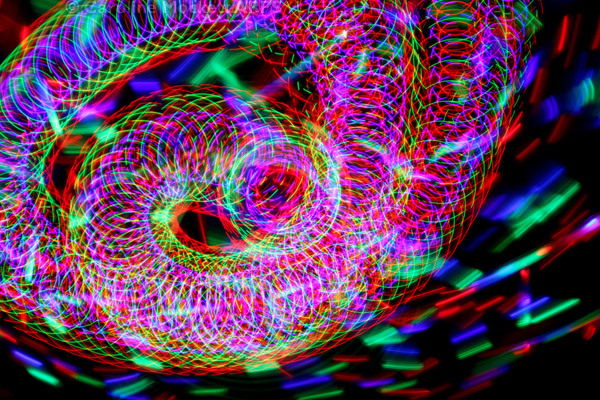 Notes: I spun some more physiograms this evening. This is a blend of three different coloured efforts. 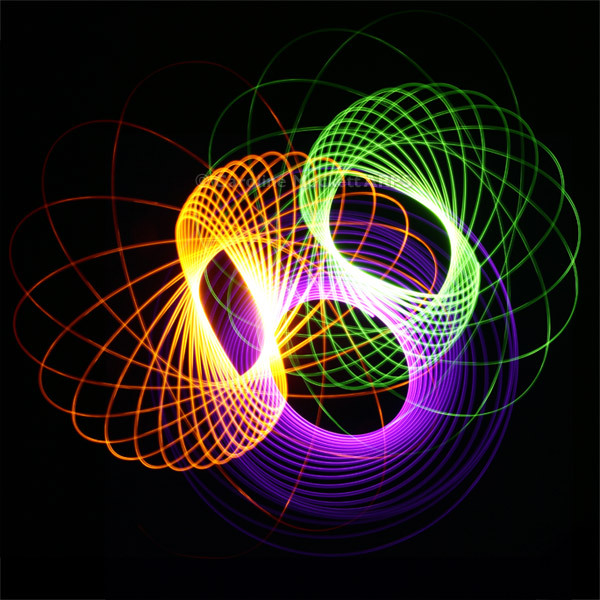 Notes: I tried my hand at a few Physiograms this evening. Some worked better than others. And then I decided to have fun with my LED fan and home made flashing light wand. This was the result. Read more about Indoor Light Painting. 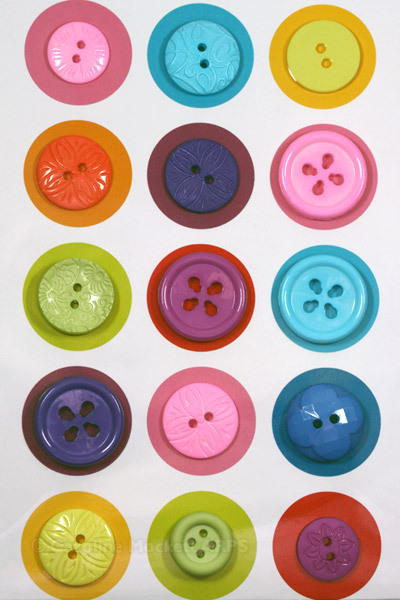 Notes: Found some buttons which went rather well with some wrapping paper. Notes: A quick shot in the studio when I got home from work. 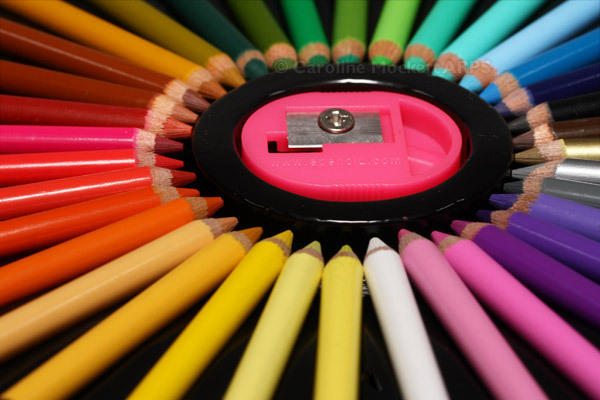 These are tiny pencils. Notes: Newcastle Science Week has just started and the first event we went to was the opening of Newcastle University’s Botanic Garden. There were plenty of interesting plants to photograph. 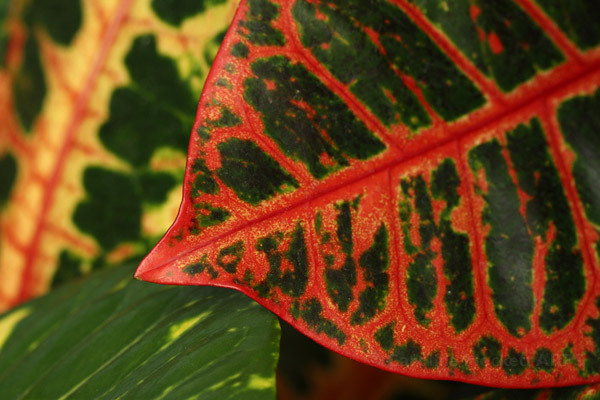 These colourful leaves caught my eye. Notes: After the recent huge solar flares, the possibility of seeing the Arora Borealis in Northern Britain is apparently quite high at the moment. However, with clouds forecast and the fact that I’m about 250 miles too far south right now, I thought I would make my own – so I present you with Aurorae Caeseromagi – Chelmsford’s Lights. 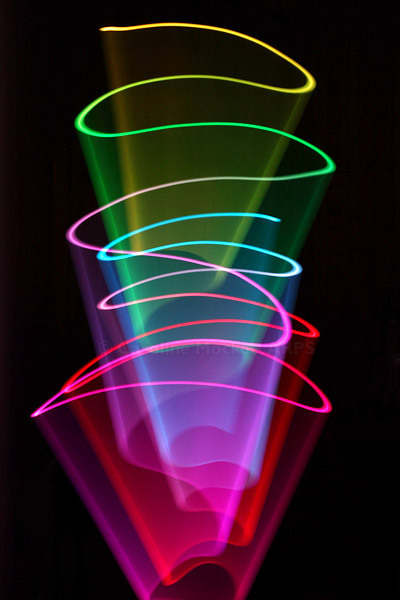 I’ve just taken delivery of my new LED Lenser V24 7-colour light sabre – which will be perfect for light painting shots in the future. I couldn’t wait to give it a whirl this evening. I’m not going to use it for the Treasure Hunt theme yet as I’m sure I’ll be able to do much better given the right location.